The temple tank of Sri Parthasarathi Swami is famous ~ it is ‘Kairavini Pushkarini’… the pond of Lily – ‘allikkeni’ from which the place itself derives its name. Pushkarinis (temple tanks) were developed closely associated with temples. The water from the tank was once used daily for thirumanjanam and all other religious functions of the Lord. 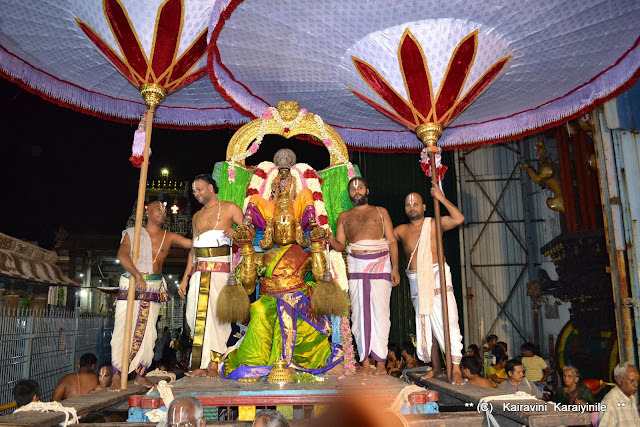 The conclusion of Brahmotsavam would be by ‘thirthavaari’ the sacred bath at the tank. .. .. and today hundreds were standing on the steps to witness depiction of a great philosophy. Aquila is a constellation in the northern sky. Its name is Latin for 'eagle' representing the bird who carried Zeus/Jupiter's thunderbolts ! In Hindu mythology, Garuda is the vahana of Lord Sriman Narayana. Brahminy kite is considered to be the contemporary representations of Garuda. Indonesia adopts a more stylistic approach to the Garuda's depiction as its national symbol, where it depicts a Javanese eagle. 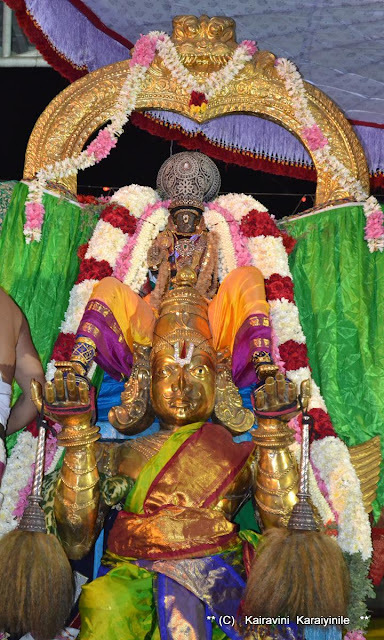 Today 19th July 2016 occurred grand purappadu at Thiruvallikkeni …… Sure you know the puranic legend of ‘Gajendra moksham [salvation of elephant Gajendra]’ ~ whence Lord Maha Vishnu Himself came down to earth to protect Gajendra (elephant) from the death clutches of Makara (Crocodile). 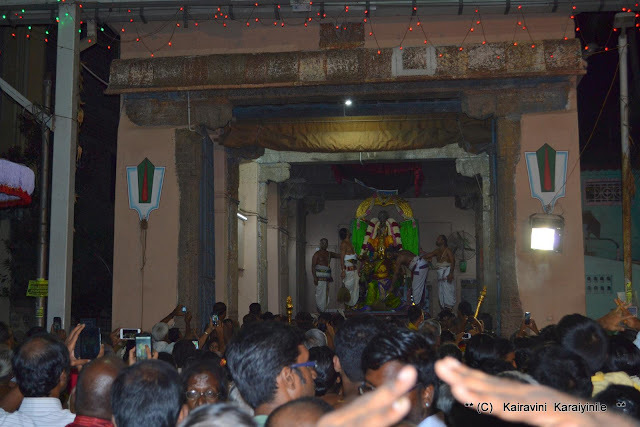 It also offers us great learning – the otherwise mighty elephant too could get into difficulty and in its extreme distress the elephant after testing its power and understanding its futility, still had the presence of mind to think of bhatki (devotion) and gnana (spiritual knowledge) ….. the plea of elephant was immediately answered by Lord Sriman Narayanan, who came rushing in to protect His devotee – making the earthly human beings realise that if God does so for an elephant, He sure would protect all of us too. 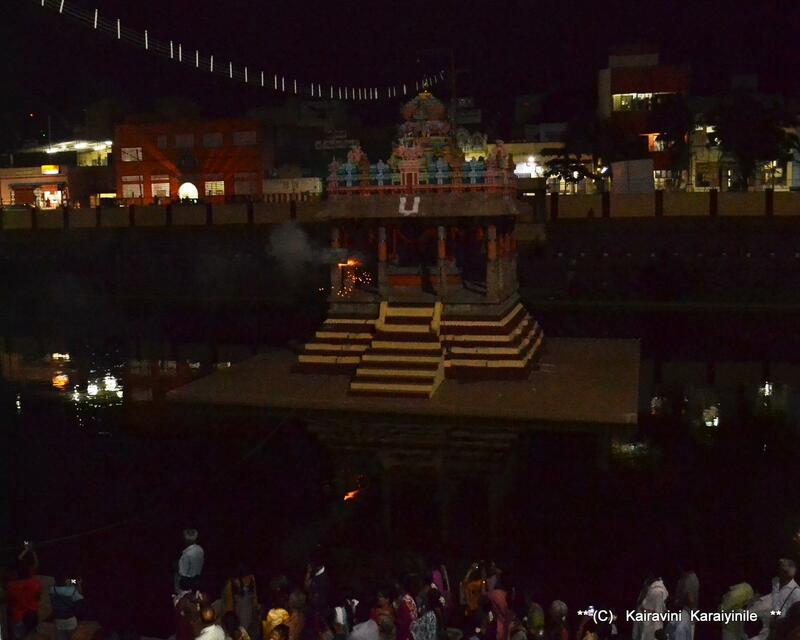 The reenactment of Gajendra moksha takes place during the full moon in the month of Aadi. During Theppothsavam, Lord Varadhar has sarruppadi of ‘Gajendra moksha thirukolam’. 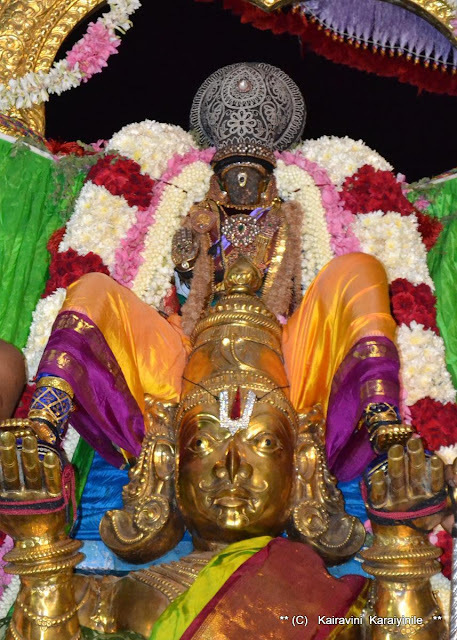 Inside the temple at Thiruvallikkeni divyadesam, Lord Devathirajar (the Moolavar) gives us darshan on Garuda vahanam – “aanaiyin thuyaram theera pul oornthu sendru nindru aazhi thottanai” [the one who transcended on the bird to wipe out the trouble of elephant] in the words of Thirumangai Mannan. 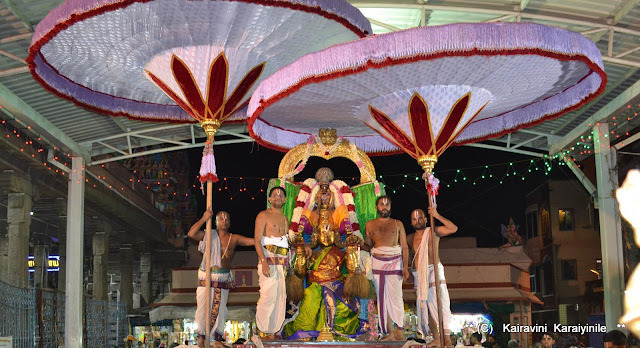 Today, it was Gajendra Moksham at Thiruvallikkeni, and Sri Parthasarathi had purappadu in Garuda vahanam. Normally all Garuda SEvais here are in the morning [this and Garuda sevai of Sri Ranganathar exceptions] …. 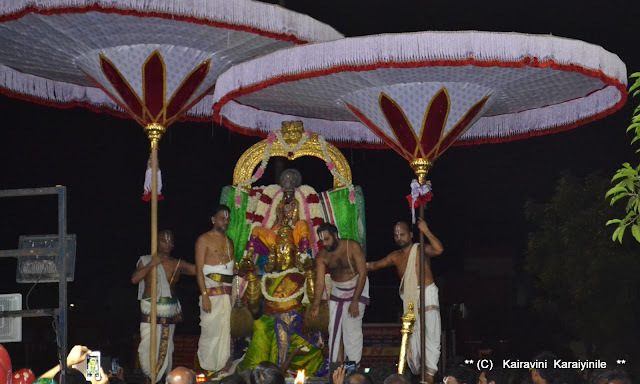 Here are some photos taken during the purappadu. Tidbit 1 : In 1918, London educated R Nataraja Mudaliar produced and directed the first silent feature film in Tamil called ‘Keechaka vadham’ ……….. he also made Draupadi Vasthrabaharanam, Mayil Ravana, Lavakusa and Kalinga Mardanam. The other early pioneer A Narayanan made “Gajendra Moksham” in 1930. Tidbit 2 : Garuda is known as the eternal sworn enemy of the Nāga serpent race and known for feeding exclusively on snakes ! The image of Garuda is often used as the charm or amulet to protect the bearer from snake attack and its poison. There is news that a passenger was stopped from boarding a plane after he was found with ten live snakes in his trousers at Jakarta International Airport in Indonesia. The man having passed security was attempting to board a Garuda Indonesia flight bound for Jeddah.